Anita White started in May 2017 as Manager Corporate Services and from August 2018 has had the role of CEO. Anita has over 20 year's experience in business, working in the mining, logistics and commercial industries. Over this time she has gained experience in strategic management, export trade, policy and procedure systems, human resource management and Workplace Health and Safety requirements. In 2011 Anita completed her Master Degree in Business Administration (MBA) with a major in Human Resources through Southern Cross University in Lismore. Outside of work: besides an 18 month period living in Papua New Guinea, Anita has lived in the Singleton area for over 20 years and actively volunteers in the community through the Rotary Club of Singleton. Her hobbies include cycling, sailing and managing her small farm at Belford with her husband Neil. Kylee Jurkans has 10 years’ experience working in the Disability Sector. Kylee started working at Witmore Enterprises in June 2014 as Client Services Manager – ADE. 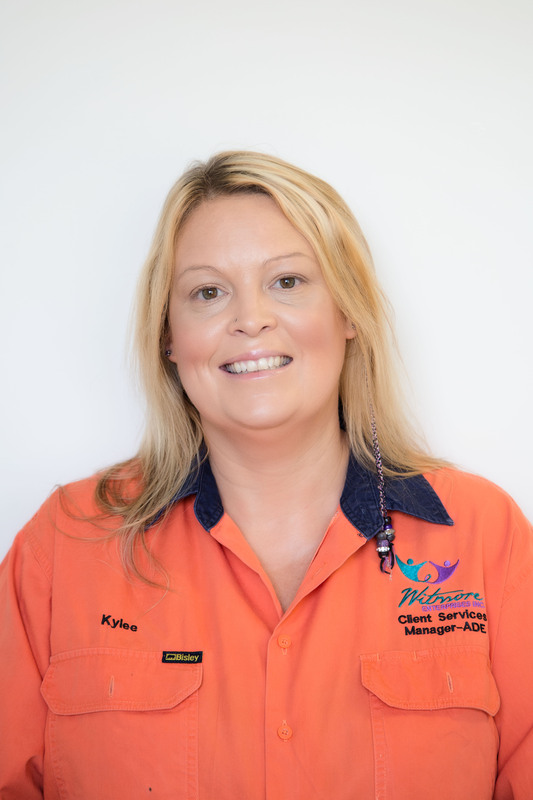 Kylee has previously worked for Challenge Community Services as a Job Development Officer assisting clients with disabilities to create Employment, Education and Life skill pathways. Kylee had a brief role at Mt Thorley/Warkworth as a Dump Truck Driver, however, the role was not mentally challenging or rewarding. Kylee enjoys helping others to live a fulfilling and rewarding life. Kylee’s interests include NRL football (she loves the EELS), V8 Supercars, travel and socialising with friends and family, also enjoying her life to the full with her husband James and sons Brock and Ryan. Rachel comes to Witmore Enterprises with 10 years’ experience working in varied roles in the Not for Profit sector. 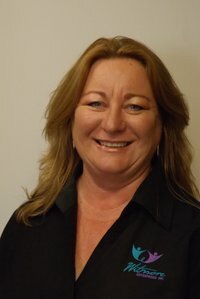 Rachel has a strong business/project and marketing background and has worked for a number of large disability organisations, in both Queensland and the Hunter. Rachel has also worked for charities such as the Leukemia Foundation and Hunter Prostate Cancer Alliance, undertaking a range of activities such as fundraising, event planning, marketing and promotions. She thrives on committing herself to working in the Not for Profit sector. 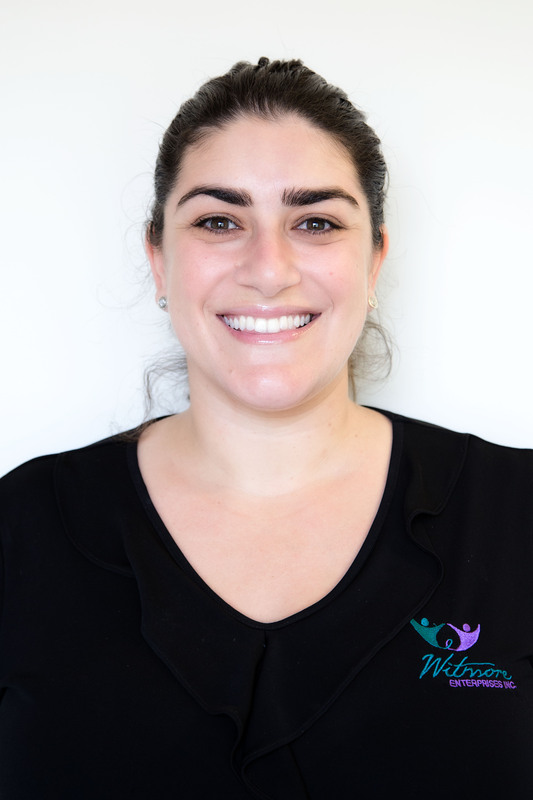 Rachel has completed an advanced diploma in Marketing and Business, Certificate IV in Training and Assessing, Certificate IV in Disability Services and a Diploma of Community Services. Along with her working knowledge of the disability sector, Rachel also has a strong connection with Witmore Enterprises, as her younger brother is attending Witmore Enterprises. She, therefore, understands the needs of our clients from a consumer’s perspective and is very committed to delivering quality outcomes. 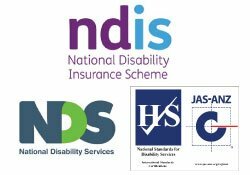 Rachel’s knowledge of the National Disability Insurance Scheme (NDIS) will be of great assistance to all our existing and potential clients. She brings with her fresh ideas, enthusiasm, empathy and compassion towards creating more opportunities for people with a disability. John Maher has been employed at Witmore Enterprises since 2015. He is a jack of all trades experienced in all manner of construction, carpentry, mechanical rebuild and repair. He’s passionate about inclusion and believes everyone has skill that can be uncovered. As a Business Manager, he is responsible for implementing strategies that help his work team increase skillsets, instilling a safety first motto, generating new tasks and acquiring new customers. When John isn’t working you’ll find him working on something at home, fixing something for a mate or taking his children on an adventure.